I hesitate to open this particular Pandora’s Box, and my intent is not so much to deal with the issue of submission as much as it is to give a potential example of semantic range. It always confused me when Paul switches from “wives submit (ὑποτασσόμενοι, from v 21)” to “wives respect (φοβῆται).” Are they meant to be the same thing, or is one an explanation of the other? However, the CSB has, “To sum up,” and the NLT has “So again I say.” Hoehner cites BDF #449, saying πλήν “is used to conclude a discussion and emphasize what is essential.” This would parallel BDAG 1c, “only, in any case, on the other hand, but, breaking off a discussion and emphasizing what is important.” In this case, it means v 33 is meant to break off from the details of the current discussion and summarizing entire passage. So how does φοβέομαι sum up ὑποτάσσω? 1 John gives us three ways that we can know we are God’s children. One is the inner witness of the Holy Spirit. “And the one who keeps his commandments resides in him, and he in him. And by this we know that he abides in us: by the Spirit whom he has given to us.” (3:24). A second is grounded in the nature of God and our true belief in him. “Everyone who believes that Jesus is the Christ has been born of God” (5:1, see also 4:2). The third is the fact that we are obedient to his commands. “Now this is how we can be sure that we know God: if we keep his commandments. The one who says, ‘I know God,’ yet does not keep his commandments, is a liar and the truth is not in him. But whoever keeps his word, truly in that person is the love of God brought to fulfillment. This is how we can be sure that we are in him: the one who claims to abide in God ought to walk just as Jesus walked” (2:3–6). The question today is where does 3:19–20 fit, as part of #2 or #3. More specifically, is the idiom ἐν τούτῳ in 3:19 anaphoric, pointing back to the previous thought, or does it point forward? Is Everyone in your Church going to Heaven? One of the challenges of the letter to Ephesians is to understand how Paul could write a letter to a church where he had ministered for three and a half years, and yet in the letter it appears that he does not know the people to whom he is writing. 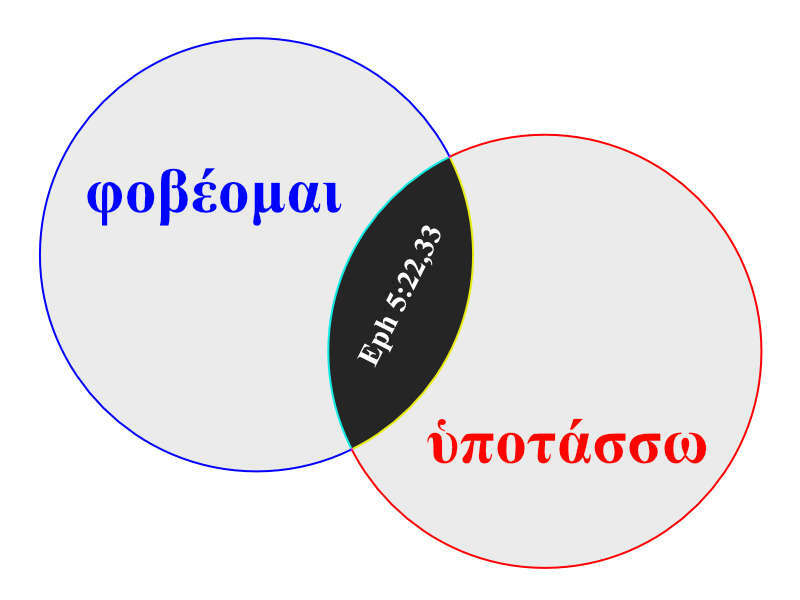 This explains the issues surrounding the inclusion of ἐν Ἐφέσῳ in 1:1 and the suggestion that the epistle is really a circular letter. But it does raise an interesting question about the translation of εἴ γε in 3:2 and 4:21. “For this reason, I, Paul, the prisoner of Christ Jesus on behalf of you Gentiles— you have heard, haven’t you (εἴ γε ἠκούσατε), about the administration of God’s grace that he gave to me for you?” (3:1–2, CSB). The CSB at least indicates that Paul is not confident that his audience has heard, but gives the suggestion that they have. Other translations are a little more neutral, saying things like “assuming, by the way, that you know God gave me the special responsibility of extending his grace to you Gentiles” (NLT, also ESV). We have the same situation in 4:21. “But that is not how you came to know Christ, assuming (εἴ γε) you heard about him and were taught by him, as the truth is in Jesus” (4:20–21, CSB). What is surprising is the translation of NIV and NRSV, which use “surely.” “Surely you have heard about the administration of God’s grace” (3:2, NIV). “For surely you have heard about him and were taught in him, as truth is in Jesus” (4:21, NRSV). These translations are much more confident than the Greek allows about the audience’s knowledge of Paul’s ministry and the ethical message of the gospel. Paul continues, “But even if I am to be poured out as a drink offering upon the sacrifice and service of your faith, I am glad and rejoice with all of you.” And then our verse. “So you too should be glad and rejoice with me. (τὸ δὲ αὐτὸ καὶ ὑμεῖς χαίρετε καὶ συγχαίρετέ μοι. )” (NIV). I have frequently said that there is no random translation; even we disagree with a translation’s position, you can always see why they did what they did. But I cannot tell why the NIV does not translate τὸ αὐτὸ. The καὶ is emphasizing that the Philippians are also to rejoice in the midst of their circumstances, just like Paul is rejoicing in the midst of his imprisonment. The τὸ αὐτό makes this quite emphatic; the Philippians should be rejoicing in the same way that Paul is rejoicing, i.e., in the midst of their difficult circumstances. Perhaps the NIV sees “too” as an adequate translation of “τὸ ... αὐτὸ καὶ,” but to my ears the English is not nearly as emphatic as is the Greek.